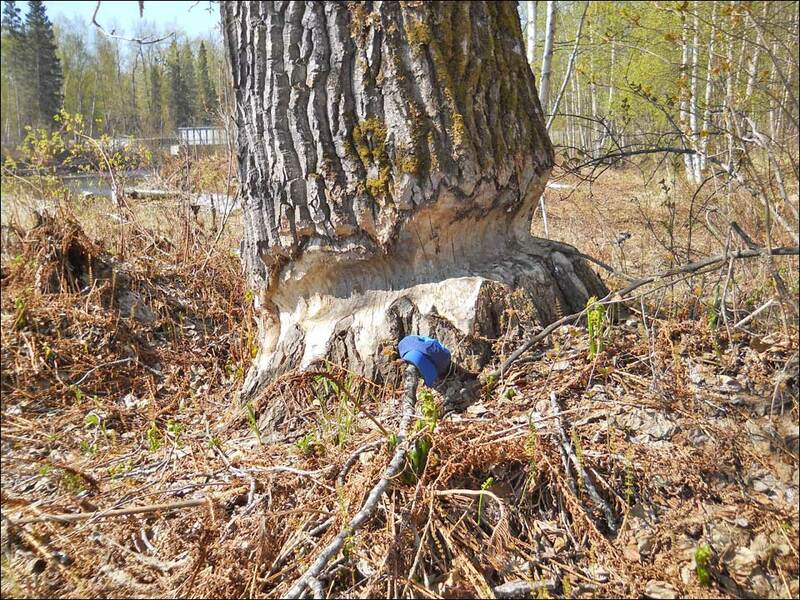 Beavers around here do not lack for ambition. That’s my hat in the picture for scale – the cottonwood is about 6 feet in diameter. They DO take them down this size! I’m not sure if it is done in a single generation, though. Luckily this one is downwind of the cabin. This entry was posted in Animal Neighbors, Uncategorized by Josh Klauder. Bookmark the permalink. Christine D on It’s August, fall is here. Elf on Hey you kids!